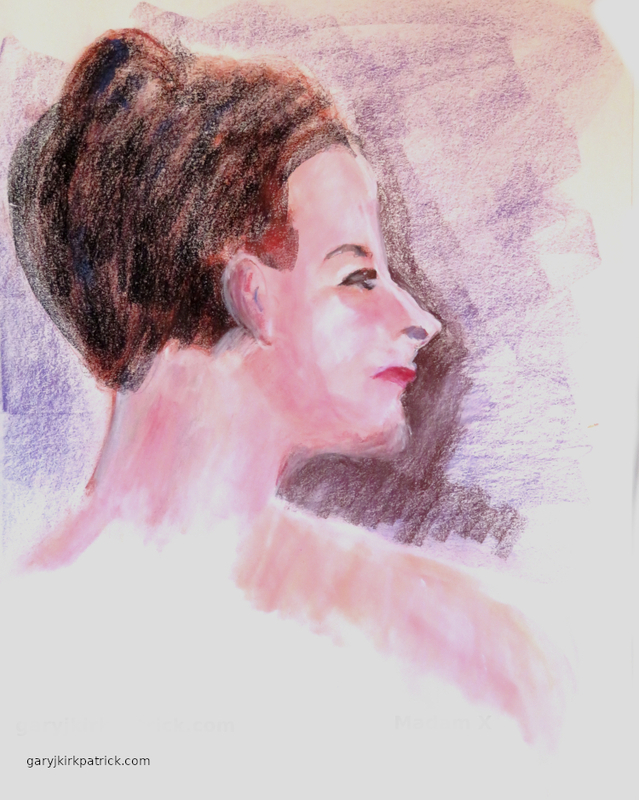 This is my pastel of the famous John Singer Sargent painting title Madam X. It was quite controversial at the time since she was portrayed with bare shoulders. She begging him not to display it but he refused but it came to be known as Madam X. At his peak Sargent earned the equivalent of over $1M for a portrait. There is an excellent collection at the Metropolitan in NYC.